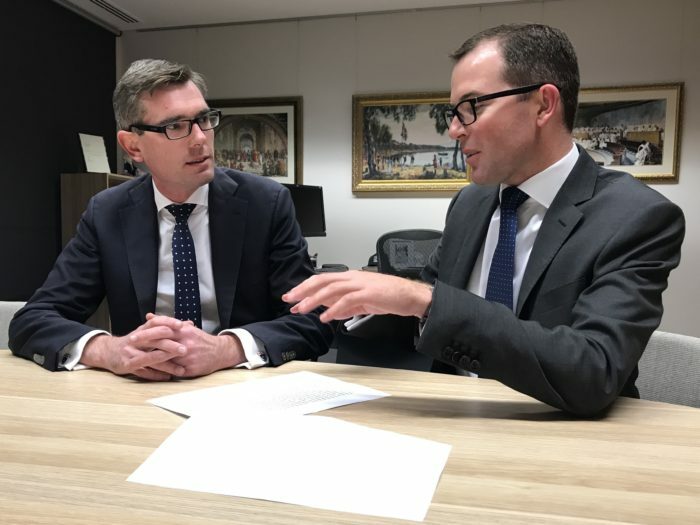 PROMISING MEETING – Member for Northern Tablelands Adam Marshall met with NSW Treasurer Dominic Perrottet last week in Parliament to push the case for funding. THIS month’s upcoming NSW Budget must include the first tranche of funding for the redevelopment of Inverell Hospital, Member for Northern Tablelands Adam Marshall has told the State’s Treasurer Dominic Perrottet in a meeting last week. During the meeting at Parliament, Mr Marshall impressed the importance of the radical rebuild upon the Treasurer, describing the funding as “vital for Inverell’s growing community”. “The Inverell community has been fighting for improvements to their aging health infrastructure for several years now – and we are closer than ever,” Mr Marshall said. “With the business case approved by the NSW Government, we finally have concrete plans for the $30 million redevelopment. I told the Treasurer that there was now no reason that funding could not be forthcoming in this year’s Budget. “Last year Armidale around half of its total redevelopment cost to get that project underway and I expect nothing less for Inverell this year. Around 80 per cent of the redeveloped hospital would be in a new building, Mr Marshall said, which was significantly more than the Armidale Hospital. “The planning team have stretched every last cent of the $30 million promised – I know the community will be very impressed with the final product,” Mr Marshall said. Mr Marshall said the upgrade was about more than just providing cutting edge health services to residents in Inverell. “This major upgrade goes beyond mere bricks and mortar – it will help the rapidly growing town of Inverell attract the specialist doctors it deserves, and reaffirms that residents of regional areas aren’t content to be treated like second class citizens.